I am an avid listener of This American Life and I usually love it, which is why I was so deeply disappointed with their decision to perpetuate the myths and misinformation about ‪#‎incineration‬ in the episode “Not It!” aired on April 10th. Zoe Chace’s segment “The Big Crapple” is, at best, a one-sided fluff piece. But in a harsher reality, it is a thoroughly ill-researched and biased piece that lazily relies on the PR of incineration companies and looks through rose-colored lenses at ‘what’s going on in Europe’ while completely leaving out the history of incinerators being located in low-income communities of color. There isn’t even a discussion of environmental justice – merely a reference to some people who work on it. It is so sad to me that she upholds this idea that having incineration would not impede our cities’ capacities to focus on true waste reduction, recycling, and composting projects. She asks, “Why can’t we do both?” Because incineration companies have contracts that require cities to maintain a certain amount of waste to be incinerated, and, thus, to be produced. Because incineration is inherently costly and requires a high carbon footprint to truck in waste in order to maintain a nominal level of efficiency. Because the energy generation from burning trash is the least efficient and most costly way to produce energy and is a secondary outcome. Because the reason that landfills are so methane-producing is because we haven’t developed systemic composting solutions – this would address the build-up of organic material within a landfill’s anaerobic conditions that actually cause methane production. Because when you burn wood, paper, plastics, and other trash that has been treated with chlorine, you are going to create dioxin. Because incineration does not produce as many job as recycling, composting, and waste diversion management. Because incinerators are almost always sited in poor communities of color. Because “they look so pretty” is NOT a defense of an outdated technology that continues to allow our city officials to avoid recycling and composting infrastructure. Because companies like Covanta have repeated workers’ safety violation issues. Because when you have a business model that is centered around burning waste, you lose the incentive to create less of it. In other words, ‪#‎capitalism‬. This goes beyond some juvenile and prescriptive view of NIMBY (Not In My Back Yard). This is about communities demanding responsibility – toward our environment, toward the way our money is handled, toward the way we source energy, toward the way we treat our workers, toward the way we treat our health. We as communities that are affected by these industries deserve not only the truth in reporting but accountability from our cities in making decisions that are good for everyone. 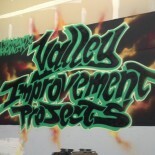 This entry was posted on June 29, 2015 by valleyimprovementprojects in Environmental Justice and tagged Covanta, this american life, trash incineration.